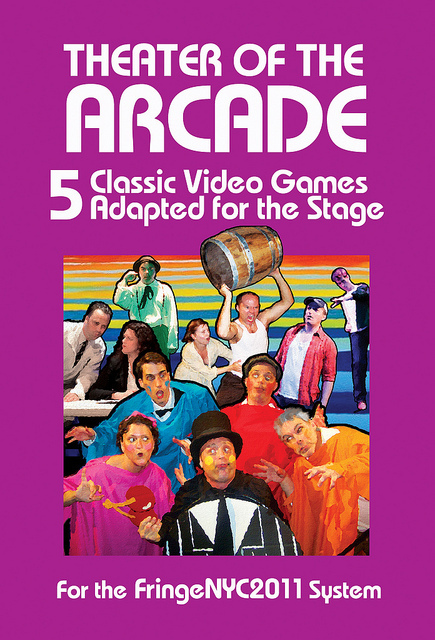 For decades, Atari Asteroids has been calling out for dramatic adaptation, and Jeff Lewonczyk has responded with his play, “Theater of the Arcade.” The work is five scenes inspired by classic video games, each written in the style of a different well-known playwright. The Asteroids scene is entitled “Magdalene Magellan Mars,” and channels the voice of David Mamet. 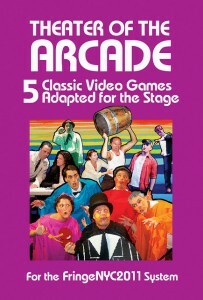 “Theater of the Arcade” was originally part of the 2010 Game Play festival, and is about to have its second staging in the 2011 New York International Fringe Festival, with 5 performances from August 13-27. We spoke with Jeff Lewonczyk to find out more. Atari Asteroids: What was your inspiration for Theater of the Arcade? Jeff Lewonczyk: The Brick has been doing this video-game theater festival called Game Play for the past few years. 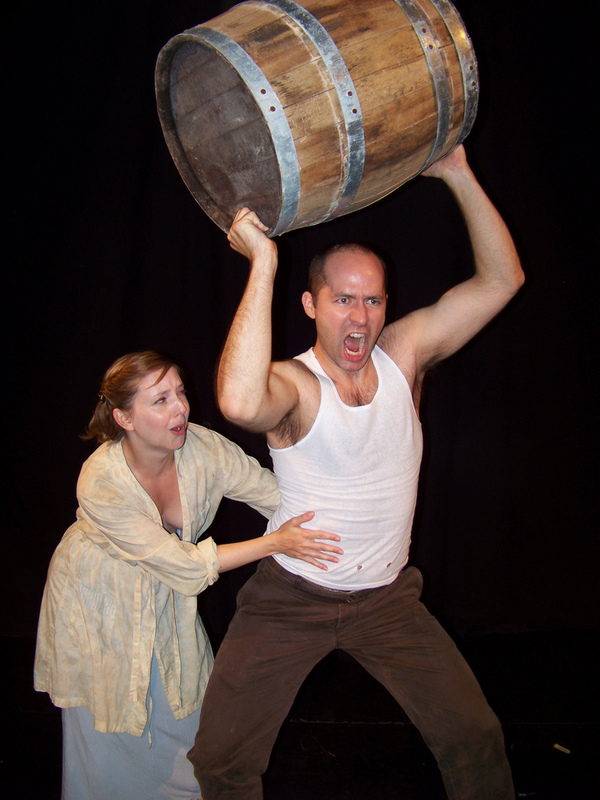 Early last year, when we were discussing programming for the second (2010) edition, I casually blurted out that I thought it would be fun to do a play that actually treated the narratives of old-school video games as if they were the stuff of serious theater. Gyda Arber, the festival’s producer and curator and a good friend, immediately volunteered to direct it if I were ever to write it. So I kind of did it on a dare to myself. As I worked more on each of the pieces, I grew more and more intrigued by what went into developing something essentially non-narrative into a story format. In order to make it work to the fullest extent, I realized that each of the plays needed to have an analogue in the theater world, and so I ended up using each game to parody a specific playwright with a highly recognizable style. The result ended up being a weird hybrid, which satisfied both gamers and theater fans, but in very different (though often highly overlapping) ways. AA: What drew you to the games that you ended up adapting? JL: Mostly, they were the games I grew up with. I was never a skilled gamer per se, but I had a friend who had an Atari 2600, and going over there and playing it – or, more likely, watching him play it – was like a window onto another realm. Also, these games were just in the air at that time, pop-culture wise – cartoons, cereal, novelty music, you name it. I was always attracted to the iconography of those early games, and they retain a high nostalgia value for me. However, I think a reason I found myself drawn to adapting those, as opposed to later-generation games, is that they’re wide open to interpretation. Like, what kind of story is Pac-Man, really? Who the hell is this yellow guy, and why is he consigned to a haunted maze where all he can do is run around and eat? Or take Asteroids – who exactly is flying this ship, and why is he (or she?) trying to blow up all these space rocks? There were a lot of possibilities. JL: Well, I don’t want to give TOO much away, since we’re about to open in a remount of Theater of the Arcade at the New York International Fringe Festival on August 13, but I will say that it’s about the question I asked above: who’s flying these ships, and why? It’s essentially a power struggle between two pilots, an old pro and a younger hotshot, who are both called in for questioning to find out which one of them is shirking his duties and not blowing the asteroids into small enough pieces. There’s also a sexual element, since the interrogator is female, and there hasn’t been a woman on their base in years. Excitement! AA: And what’s the connection between Asteroids and David Mamet? JL: The truth is, it took me a while to fall into that combination. I had known from the beginning that I wanted one of the pieces in the show to be one of the outer-space games, but I couldn’t decide between Asteroids, Missile Command or Space Invaders. When I started thinking about playwrights, I realized that Mamet would be a great choice, since blowing things up is an inherently masculine activity that brought to mind the testosterone-fueled real-estate world of Glengarry Glenn Ross. The clincher for Asteroids, though, was nearly abstract – Mamet’s intentionally choppy and fragmented language reminded me of the ever-smaller pieces of detritus that result from blowing up asteroids. The combination of fragmented space rocks, fragmented language, and the fragmenting of human beings when they’re isolated on a remote base on another planet destroying things for a living all came together into a single storyline. AA: Brilliant. Now beyond your background knowledge, growing up around the Atari 2600 and reading plays, what sort of new research did you do in creating this piece? JL: I played the game online quite a bit, and I read up on its history via Wikipedia and a few other gaming history sites. The truth is, though the piece is riddled with references to the game play, there were some things I wasn’t able to incorporate without being awkward or contrived. The UFO, for instance, doesn’t make an appearance, nor does the hyperspace function. I definitely had some purists grouse about that to me after the show, but what can you do? It’s a work of fiction – sometimes you need to sacrifice details for the big picture. AA: Have you done anything else like this play? JL: Not exactly. Everything I’ve ever worked on has had elements of pastiche, but not to the extent of doing direct parodies of existing playwrights or adapting existing entities into a new form like this. Still, I’m in love with the idea of reinventing the things we see in our culture and the world into new terms and seeing where the transformation leads, and this show definitely falls into that. I’ve had people suggest that I could just keep churning out short plays based on games, but I feel like I’d run out of truly archetypal games rather quickly, and that it would lose its luster fast. That being said, I do still kind of want to do Space Invaders as a big musical dance number, or a Shakespearean Joust, or – and this is the one that I actually spent a while trying to accomplish for the original run – a Chekhovian take on Tetris. So maybe I’ll return to the idea at some point – only time will tell.